? 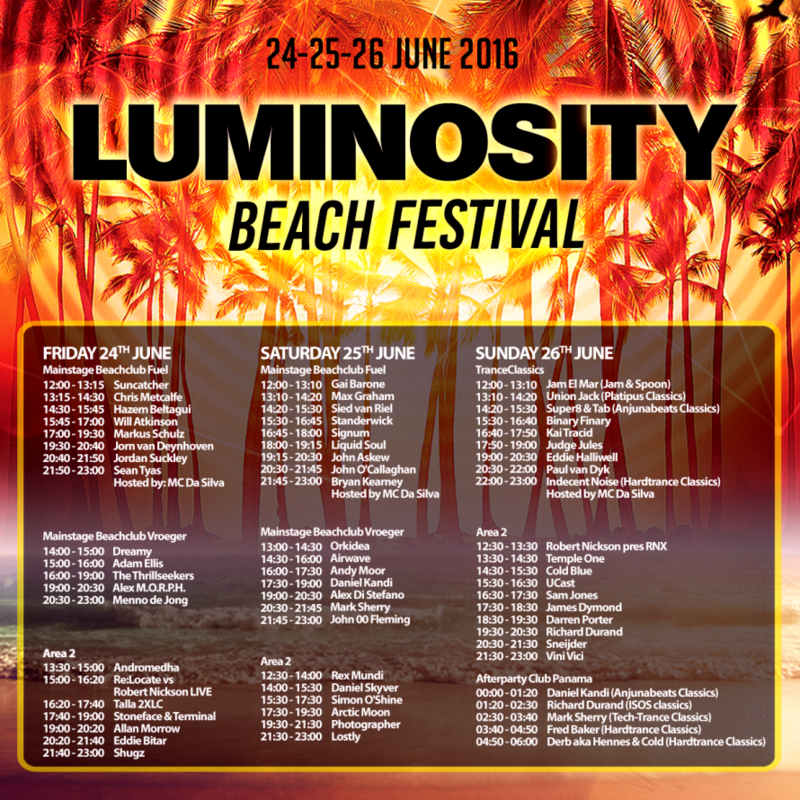 Luminosity Beach Festival 2016 timetable announcement! ? Win a MEET & GREET with your favoriete artist! Post your favorite artist in this post and tag your fellow friends with who you would like to experience this meet & greet! 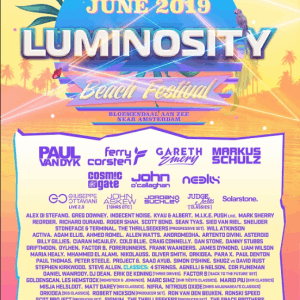 With thousands trance clubbers heading to Bloemendaal, Luminosity Beach Festival 2016 is going to be a fantastic event. Only 2 weeks left and the annual madness will start again! 3 Days full of the best trance music. Are you ready for the biggest trance marathon of your life?
? 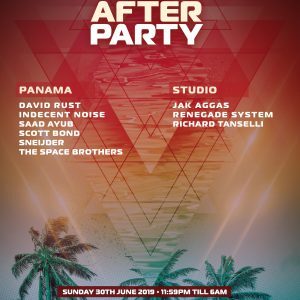 Mainstage – Beachclub Fuel ?
? Mainstage – Beachclub Vroeger ? 19:00 – 20:30 Alex M.O.R.P.H.
? Tranceclassics – Beachclub Fuel ?